This 2015, I've decided to become more aggressive into some areas of my life that I want to build such as my budding business, part-time work and school work that I have to juggle all at the same time. It can be tough yes, and most of the time I get to forget important things. You know this feeling for sure-- that annoying feeling just because you thought you did all the task that you need to do, BUT ACTUALLY YOU DIDN'T. So yeah, I didn't expected I'll be getting Two Planners this year and I am not yet sure if I'm gonna keep them both up. But I am sure, and pumped up to fill these planners with the best memories that I could make. 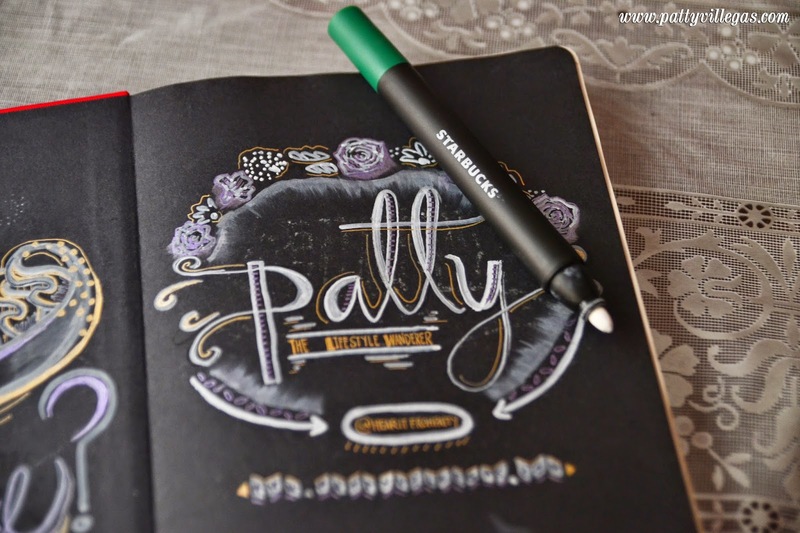 For the first planner that I acquired just a week ago, it's the famous STARBUCKS Planner. I love Starbucks in general. As you can see on my Instagram feed, there are some photos of me with my favorite frappes- Green Tea Frappe and Dark Mocha Frappe. It also served as my work place, meeting place and a place where I can have a good conversation with my best friends. I chose the red planner among the various number of options (first) because the brown one, with a different cover, is not available on most branches that I visit. Second, the red one striked the most for me. Mainly because it's bright red and it easily caught my attention on the display of planners at the counter. 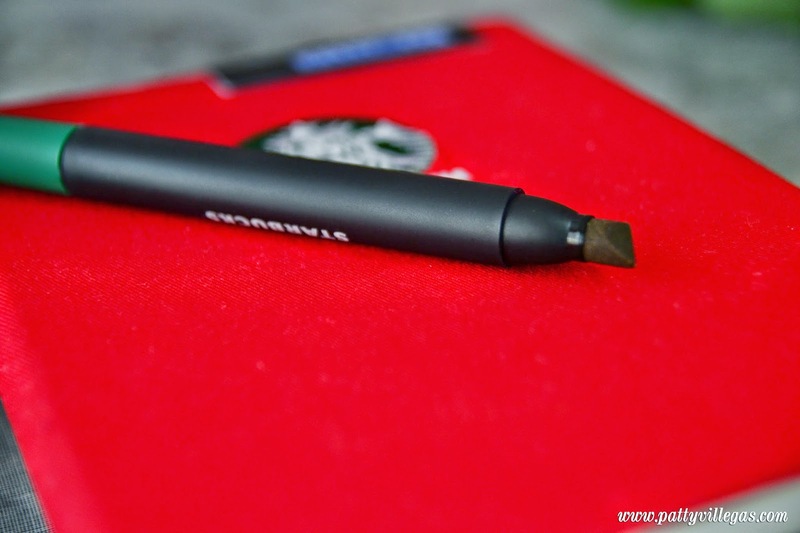 Aside from the planner itself, it comes with a bookmark and a pen with two sides. 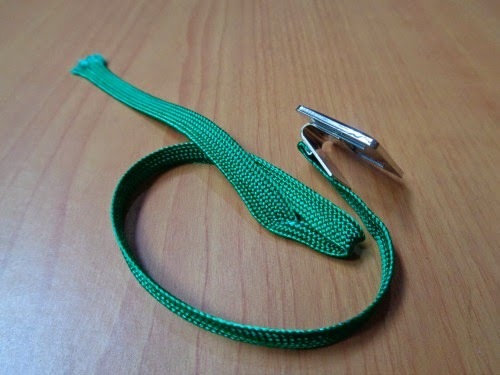 This bookmark ( I just got the photo from Google because I forgot to bring mine at home) is detachable. After I unwrapped the foil where the planner is located, I saw this bookmark along with the pen on a box. I find this pen kinda distracting because it keeps on detaching itself from the planner. That's why I decided to not use it anymore. Thus the reason why I forgot to bring it with me when I decided to shoot my planners. 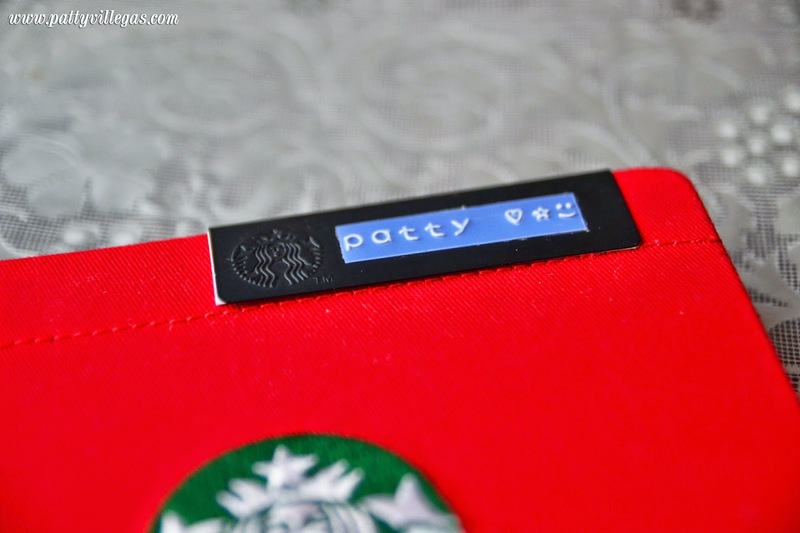 On the other end, there is a chalk marker which can be used to label your Starbucks planner. But as you can see on the top photo, I used my label maker instead to name my planner.Why? 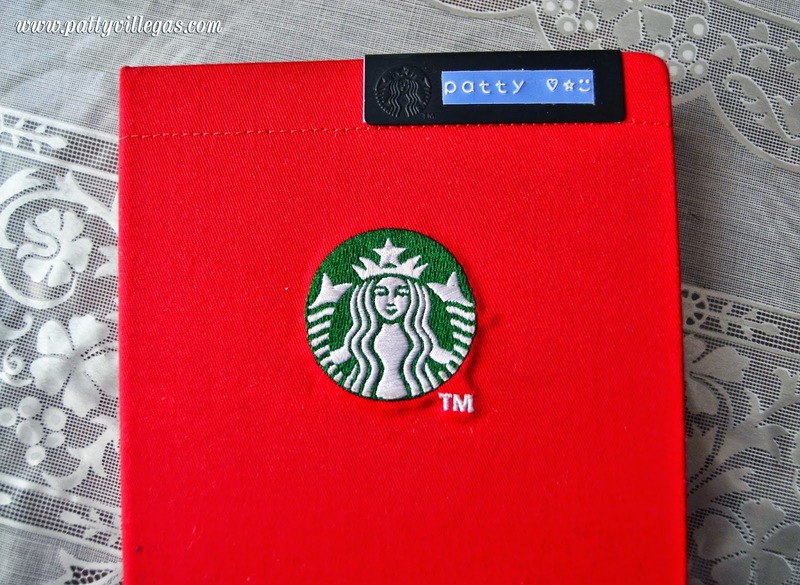 Because according to my friends who acquired the planner earlier than I did, they say that the chalk on the tag can be easily removed. Thus, making the tag look messy. Good thing I got the label maker to make it look cute and unique at the same time. As I open the planner, there are blank black pages. When my artsy friend, Jhean, saw it, she immediately volunteered to doodle on those pages. And look at what she did below! Ain't this look so pretty? One thing that I like about this planner is that I can see the overview of the dates for the whole month. It makes life easier for me because I don't need to flip the pages one by one if ever I wanna see my schedule in a week. Also, there's a wide space where I can write all my thoughts. I love how plain it is and there are no distractions from me and the ideas that I am about to jot down. 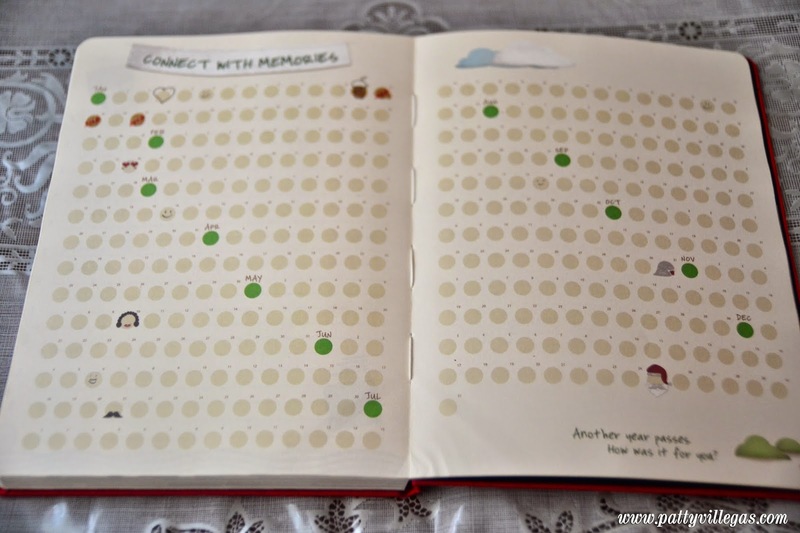 I could say that the "Connect with Memories" page (see below) is another brilliant idea. 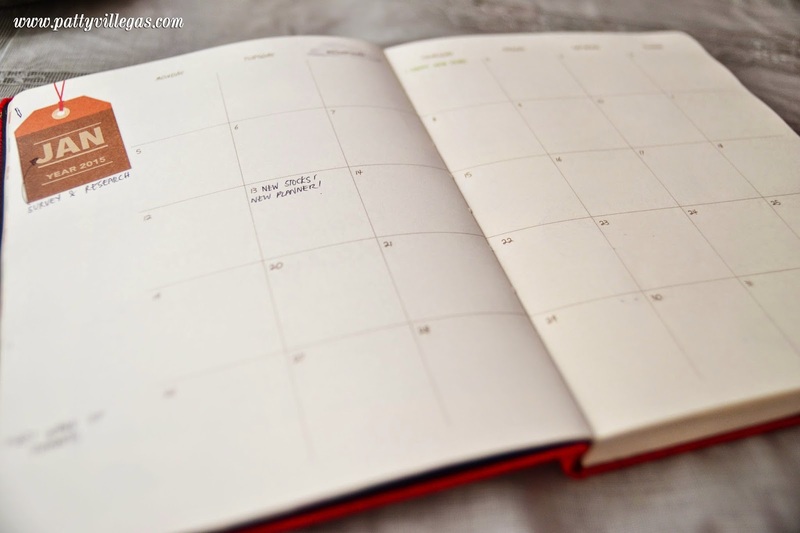 For people like me who's sentimental with the memories that we build everyday, this can be a great page where we can just highlight the dot on a given date and connect it at the end of the year. What's a Starbucks planner without the coupon, right? Same as last year's, most of the coupons can be used on definite months only. Be sure to be keen on the duration dates of the coupons so that you can maximize it. 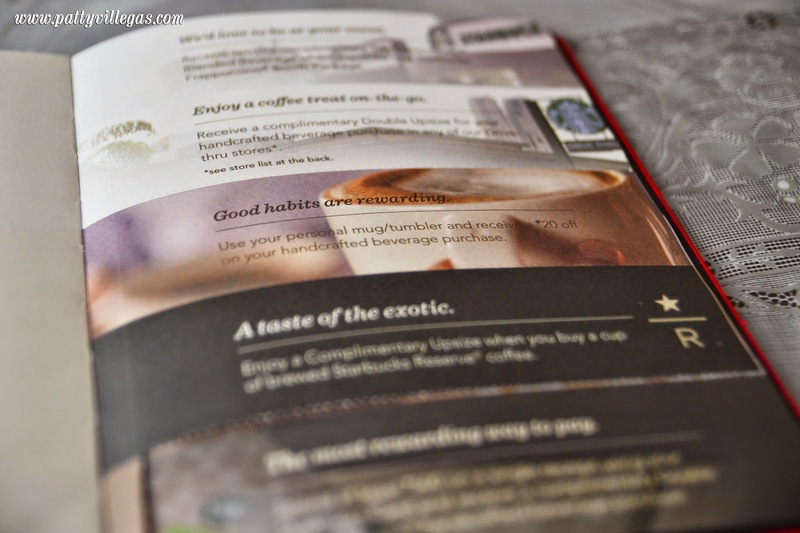 On thing that I observed though on the coupons, you really have to be a dedicated Starbucks lover to maximize them all. Because some of the coupons require you to own a Starbucks Card (which you can get for 300 php or so) Oh well, I guess you went through the stage where you bought your own card because you are kind of regretting the beverage stars that you wish you've acquired from the past. 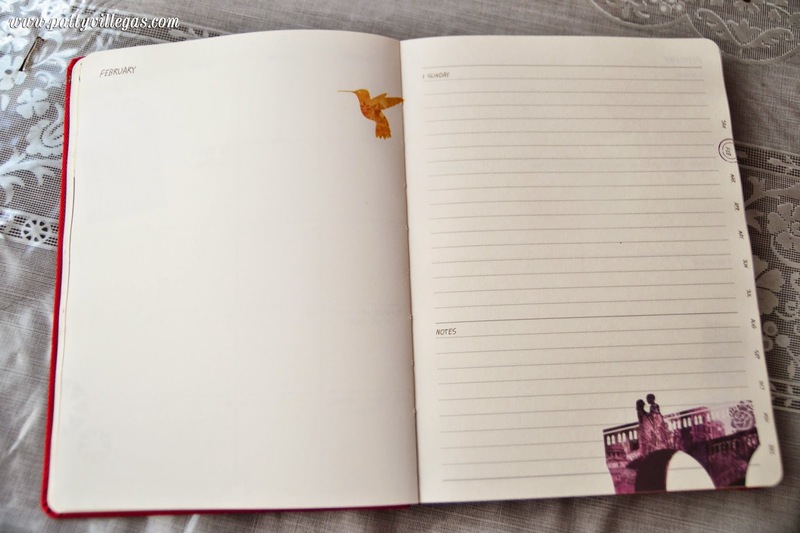 Lastly, the planner comes in a small pocket where you can store snippets of the memories that you'll have this 2015. It may be a concert ticket, wrist tag from an amusement park, or even a love letter from your boyfriend/girlfriend. 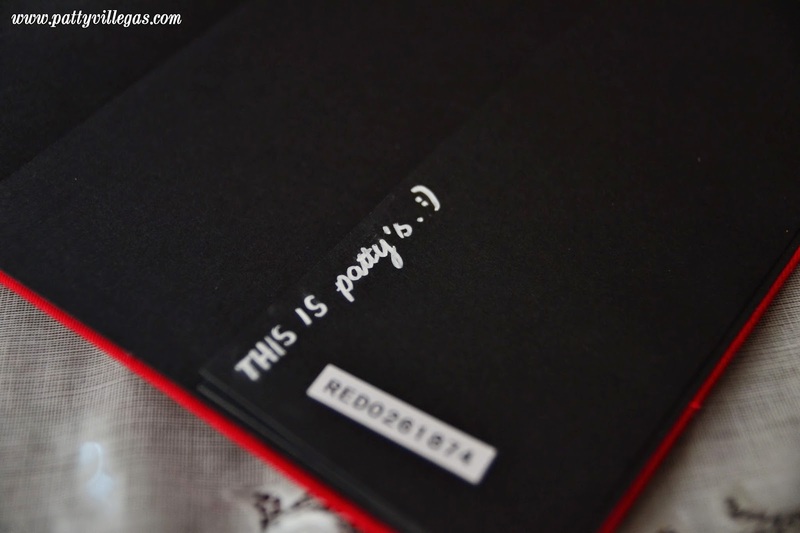 Please wait for the second part of The Two Planners That I'll Be Using This 2015. The other one is way different from this one since it's kikay and all that. You guessed it right! It's the Belle De Jour Power Planner! Disclaimer: This post is not in anyway sponsored by Starbucks Coffee.